If you have crooked teeth, there are plenty of options out there to help you have a straighter, better aligned smile. For many patients that means a choice between traditional orthodontic procedures and Invisalign®. The team at our Skillman, NJ dental care center would like to take a moment to compare traditional orthodontic procedures to Invisalign®. This might help you understand what each has to offer. When it comes to treating crooked teeth, there are plenty of traditional orthodontic procedures to consider. 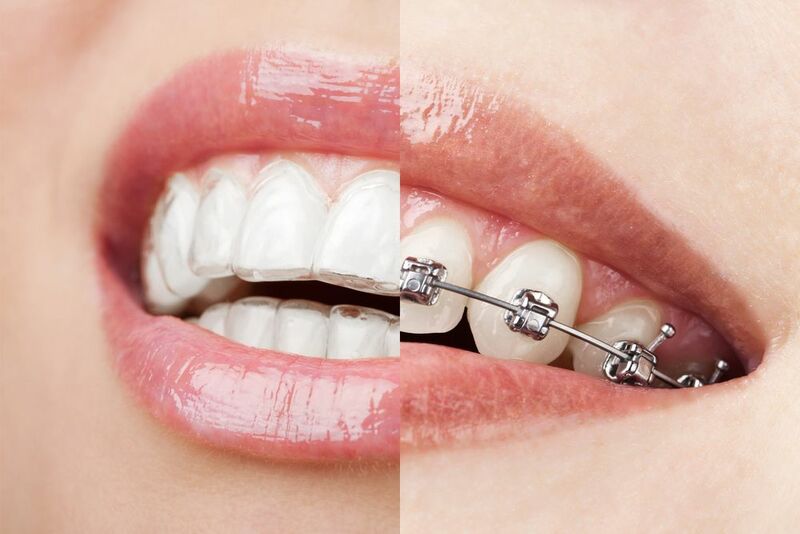 The most commonly known orthodontic treatment is traditional braces. This uses brackets and wires (and sometimes bands) to apply careful pressure and shift teeth into proper position over the course of several months to a year. In addition to traditional braces, orthodontists can also use palatal spacers in order to alter the shape of the upper or lower dental arches, ensuring a better overall bite alignment. Headgear might also be used to help improve the position of upper jaw or lower jaw, which is ideal for treating underbites, overbites, and cross bites. Reliable Treatment - Traditional orthodontic procedures have been used for decades to help improve dental alignment. It’s a reliable way to enhance overall dental alignment. Ideal for Complicated Matters - For many complicated issues involving tooth misalignment, traditional orthodontic care is ideal. This is particularly true of issues related to jaw position, the shape of the dental arch, and teeth that overlap. Invisalign® is an invisible alternative to traditional braces and some other forms of orthodontic care. Rather than using brackets and wires to improve the position of the teeth, Invisalign® uses clear plastic aligner trays that are custom fit and computer designed. Patients wear the trays at all times except when they are eating, drinking, or cleaning their teeth. Every two weeks, patients will swap out their current aligner for a new tray, which helps with the gradual shifting in tooth position. While patients will wear Invisalign® trays for about as long as they would braces, they experience a number of conveniences that normal braces do not provide. Aligner Trays Are Practically Invisible - The aligner trays used during Invisalign® treatment are clear and practically invisible. Even up close it will be difficult to notice that you have them in place. Patients Can Still Eat Their Favorite Foods - Invisalign® aligner are easy to remove, clean, and put back in. While they're out, patients can eat their favorite foods without restrictions. More Comfortable Than Brackets and Wires - Since there are no bracket and wires involved in Invisalign®, patients experience less lip irritation and discomfort. Invisalign® isn't necessarily bette than traditional orthodontics, though the benefits are quite compelling. Patients who experience issues with alignment that predominantly impact their are generally better suited to Invisalign® given the advantages involved. For more complicated orthodontic needs, traditional and advanced orthodontic care is better. During a consultation at our practice, we can assess your needs and determine the ideal orthodontic option to address your needs. We’ll be sure to go over the risks and benefits of all options available to you so you can make a confident, empowered decision about your dental health. To learn more about your orthodontic treatment options and how we can help straighten your smile, be sure to contact an experienced cosmetic and restorative dentist. James Altomare, DDS and his team are here to help you smile with renewed confidence.